Media captionTony Hall: "At the heart of this new channel will be an hour-long news"
A new TV channel for the BBC in Scotland will begin broadcasting in autumn 2018, director-general Tony Hall has announced. The channel will have a budget of £30m, equivalent to the amount spent on BBC4. The plans for the channel include a Scottish news hour at 9pm which will broadcast stories from Scotland, the UK and the world. The director-general also announced an increase of about £20m a year for Scotland to make UK-wide programmes. The BBC's Scotland editor Sarah Smith on the new "Scottish Nine"
He said this would be focused on drama and factual programming. Lord Hall described it as the biggest single investment in broadcast content in Scotland for more than 20 years. Scotland should receive about £40m in new funding annually - £19m for the new channel and digital developments, and £20m for making network programmes. It is hoped that spending on network programmes made in Scotland for a UK-wide BBC audience will rise from about £65m this year to closer to £90m over the next three years. 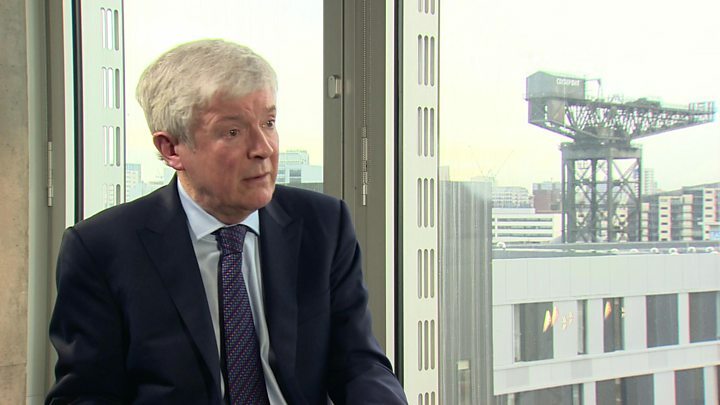 Lord Hall said: "We know that viewers in Scotland love BBC television but we also know that they want us to better reflect their lives and better reflect modern Scotland. "The best way of achieving this is a dedicated channel for Scotland. "It's a channel that will be bold, creative and ambitious, with a brand-new Scotland-edited international news programme at its heart." The new BBC TV channel for Scotland will broadcast every evening and will show drama, factual, comedy and news programmes made in Scotland. The development of a nightly news hour at 9pm means that the news output on BBC One in Scotland will remain in its current form. There had been calls for a "Scottish Six", which would integrate the main BBC News at Six from London and Reporting Scotland in a news hour. It would provide UK, Scottish and international stories from a Scottish perspective. 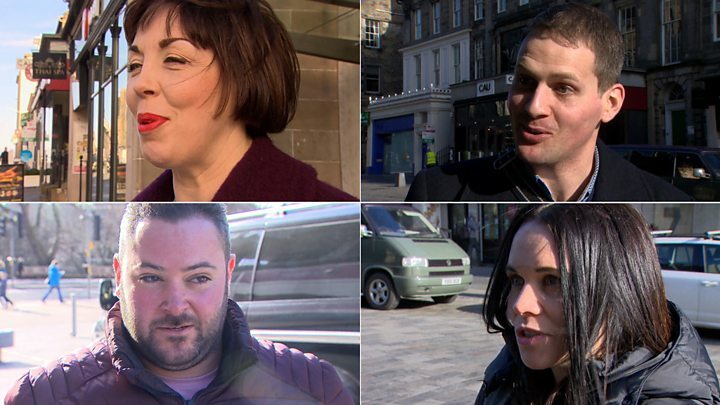 The proposals for a Scottish Six were in response to criticism that the News at Six often featured stories - for example on education and health - that had little relevance to Scottish audiences. The Scottish government argued the BBC needed to "catch up" with devolution and to give its Scottish operation greater control of budgets, staffing and decision making. Responding to the latest announcement, SNP MP John Nicolson said he welcomed the new channel and extra investment for Scotland. However, he said he was "disappointed" the BBC had "killed off" the idea of separate Scottish Six news on BBC One. He said: ""You just have to watch the running order of the main BBC news. "Quite often they will lead on an English health story then there will be an English transport story. It will often have three English stories in its running order. "That's great for the people of England but it is obviously not good for the people of Scotland on their main channel." First Minister Nicola Sturgeon used social media to react to the news. She tweeted: "Lots to welcome in today's announcement. @scotgov has long argued for new BBC Scotland channel. Vital that it is funded well. "Commitments to new investment and 80 additional jobs for journalists long overdue and very positive." But she added: "It doesn't deliver everything that everyone wanted - e.g. no Scottish 6 disappointing - but progress and hopefully sign of new thinking." Scottish Conservative culture spokesman Jackson Carlaw said the move was "good for jobs, journalism, scrutiny and programming". He said: "It also ensures those who still prefer the UK-wide BBC news at 6pm, and other programming on BBC1, get to keep that too." Scottish Labour's Lewis Macdonald also welcomed the move and criticised Nationalist politicians for their "interference in the BBC's impartiality". Paul Holleran, Scottish organiser for journalists' union The NUJ, said it was a "shot in the arm" for Scottish journalism. However, he said the amount of investment "falls well short" of what the BBC management and unions in Scotland were looking for. Explaining the decision to retain the current BBC One news output, a BBC spokesman said the News at Six had performed strongly in Scotland in recent years. He went on to say that the 9pm news slot on the new channel would offer the audience choice and quality and would provide comprehensive reporting of the news from a Scottish perspective. Lord Hall said Scotland already made network programmes such as Shetland, Two Doors Down and Still Game but it needed to make more. He said the additional £20m for making UK-wide programmes would be a "huge boost for BBC Scotland and for the creative industries in Scotland". The director-general also announced £1.2m for Gaelic channel BBC Alba, taking its budget to £20m. The proposals will be subject to approval by the BBC's new unitary board and possibly by Ofcom. The announcement on Scottish funding followed the BBC saying an extra £8.5m a year would be spent on programmes made in Wales. Plans for Northern Ireland will be announced shortly. When she took over as BBC Scotland's new director in December, Donalda MacKinnon pledged to spend more licence fee funds raised north of the border on programming produced in Scotland. In 2015/16, 55% of licence fee funds raised in Scotland was spent on local and Scottish network content. The BBC's 2015/16 accounts showed £320m was raised from the licence fee in Scotland. Of that, £176.5m was spent on local content and Scottish-made BBC network output. This was a sharp decline from the £203m spend the previous year, which was 63% of the £323m collected. The funds not spent locally go towards BBC programmes developed elsewhere and aired across the UK. The new funding takes the percentage of the licence fee funds raised in Scotland and spent in Scotland to 68% - or 79% if the £35m spent on distribution costs, getting the programmes to the audience, is included. In comparison, 95% of licence fee funds raised in Wales in 2015/16 were spent in Wales - including on network-wide programmes like Doctor Who, Sherlock, Casualty and Crimewatch - with the figure for Northern Ireland standing at 74%.